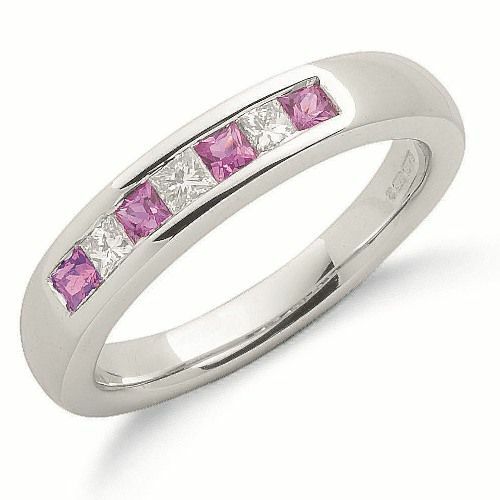 9ct white gold 0.20ct diamond & 0.30ct pink sapphire eternity ring. Set with four princess cut pink sapphires and 3 sparkling diamonds. Band width 2.5mm. Comes complete with beautiful presentation box. If you are unsure of your ring size, please contact us for a free ring sizer. Please allow 3 working days for free UK delivery.